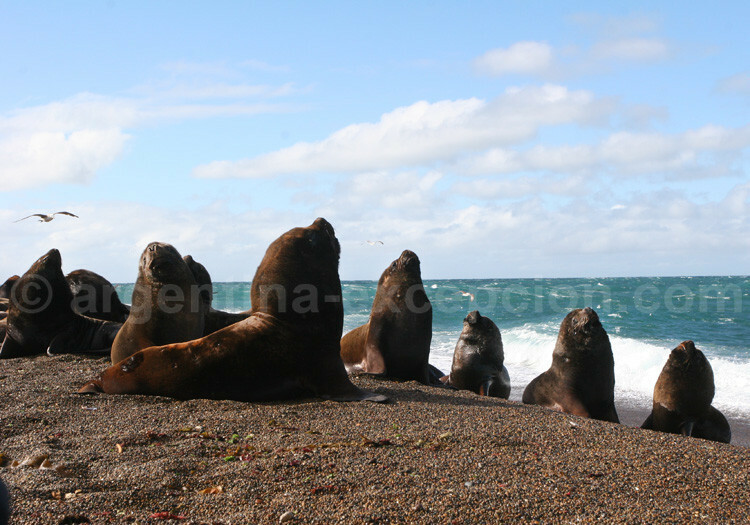 Counting more than 3 000 km of coasts, Argentina hosts many species of marine fauna, especially in Patagonia. 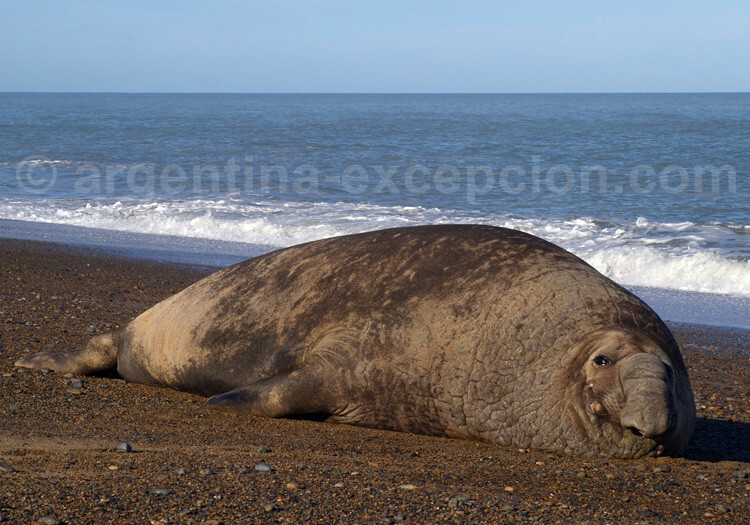 This marine mammal, in the cetacean family, is protected in Argentina since 1937. It is 13 to 15 m tall, and weighs 40 to 50 tons. 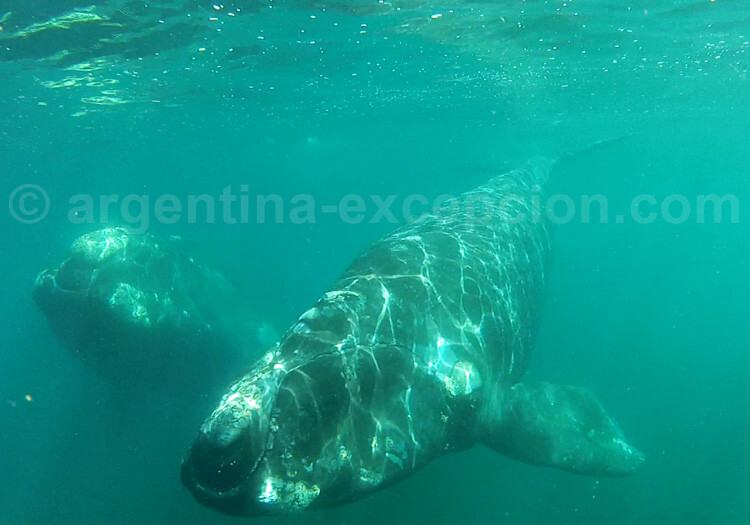 Southern right whale stays in Península Valdés at winter to mate or give birth to. Around 450 and 600 whales arrive to Antarctica as of May, give birth to 200 calves between July and October, and suckle them for one year. Gestation lasts 10 to 13 months. Males are subject to a fierce competition, bricking or beating with its tail or fins to conquer the maximum number of females. At summer time, in December, whales return to the south into the cold waters where they are fed protected by their dense fat layer that serves as a thermal insulator. Whales feed on krill and plankton, and like all mammals, they have warm blood, breathe fresh air, are viviparous and generally have only one clave at a time. Unlike dolphins, whales have baleens instead of teeth. They are vulnerable specie. 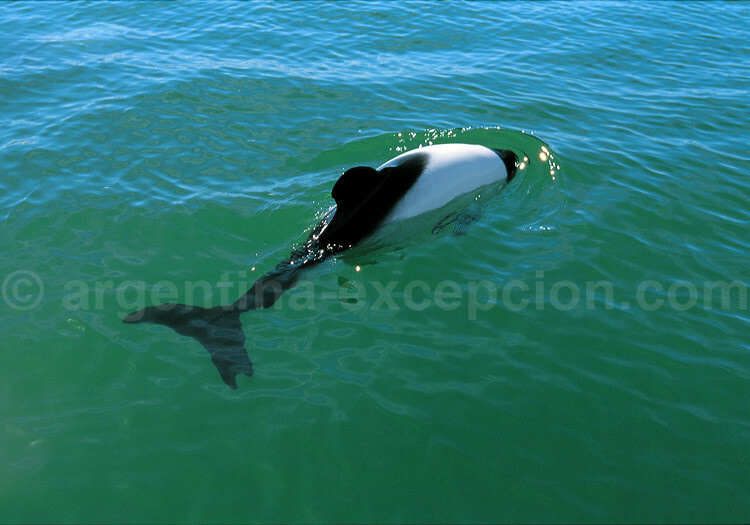 Commerson’s Dolphin is one of the smallest sea mammals in the cetacean family. Small (1,50m max.) and short, sometimes evoke the porpoise. It is also characterized by its particular color: white body color and black fins. The Argentine population is the largest in the world, on the Patagonian shores and the Magellan Strait. It frequently gets close to the shores, swims in groups and plays in the ships’ wake falling into the fisherman’s net. It feeds on fish, squid and crustaceans. Southern Elephant SealThe southern elephant seal is the most striking member of the seal family. While the bulls weigh 2 tons on average and are up to 4 m long, the females are two or three times smaller. They are named after the bulls’ nasal holes developed in the shape of an elephant’s trunk used to roar and fight to defend their group. In September, after a nine-month gestation, the females give birth to and suckle their calves for about three weeks. The pups are born with a black skin that protects them until the first shedding. Elephants seals stay in the sea most of their time and dive up to 1,000m to feed on fish and squid. The specie, which has been hunted for a long time, is still protected but out of danger. Sea lions are the largest eared seal. 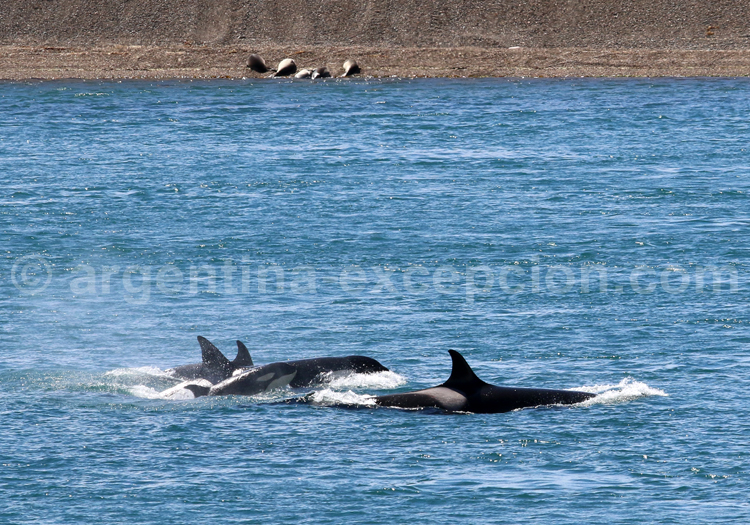 Between December and January, these mammals come out to the land (Patagonia, Tierra de Fuego) for rest, breed or give birth to. In the family of seals and walrus, sea lions live in colonies and have been hunted for their fur during a long period of time. Males lead a group that implements a defense combating and roaring in a striking manner. They weigh 300 kg, twice the weight of females, and wear a mane. Gestation lasts one year and females have one calve at a time. Sea lions feed on fish and crustaceans and may dive up to 60m. Unlike seals, sea lions have external ears and may swim on their front flippers. Killer whales are sea mammals in the cetacean family with teeth, black back and white chest. This predatory animal feeds on fish and small sea mammals. during the gestation period this animal hunts the calves of lions, sea elephants and whales. Killer whales developed a special fishing technique in Península de Valdés: They simulate a stranding on the beach to hunt the calves and identify them by their sound. The females become adult at the age of 15 and have one calf every five years, after a gestation period of 15 to 18 months. While the females live 50 years on average, the bulls live 30 years. Bull’s dorsal fin, typical of the killer whale and the shark, is 2 meters long.